In true Autumn style the weather was completely unpredictable. We parked at the beach, it started to rain. We went home to have a nap, the sun came out!! Still we managed to get some beach time and some rays! 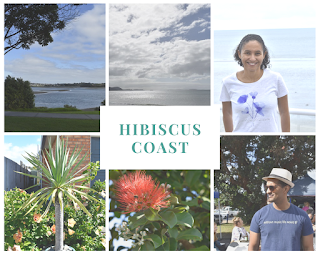 When entering Orewa along the Hibiscus Coast Highway the Gallery is on the left. The Te Ara Tahuna Estuary is close by and popular with cyclists and there is skate park behind the Gallery. I'm not one for greenfingers. In fact I have a very sad history with ferns. However I've found three house plants that seem to be thriving with little care required. I've named them all - Lily, Tracey and Spike and love to have a chat with them everyday. If you want to get a house plant that will thrive then these are for you! The snake plant can actually grow indoors in low light or outside in bright light. I actually bought one plant but after about six months I split it into two. They just seem to get on with it which makes this the easiest plant in the world to care for. Known for purifying the air, the dracaena comes in a variety of colors, shapes, and patterns. I have a small pot plant, but I have seen larger versions which look like small trees in nurseries. They don't like too much water and I use fertiliser sticks every few months to keep 'Tracey' happy. Anzac Day is a New Zealand public holiday which falls on 25 April, marking the anniversary of the landing of New Zealand and Australian soldiers at Gallipoli in 1915. It is commemorated by military and returned servicemen with a dawn service at a local war memorial, joined by other members of the community. In the lead up to the day, the public wear a red poppy as a symbol of remembrance. Another tradition is to bake Anzac biscuits on the day. According to the National Army website there were no Anzac biscuits at Gallipolli, although the troops did eat a 'rock hard tooth breaker' which was a standard Army biscuit. The majority of Anzac biscuits as we know them today were sold at fetes and fundraisers, raising 6.5 million pounds for the war effort. I love Anzac biscuits. They are similar to the oat 'crunchies' that my mum baked for me as a child. 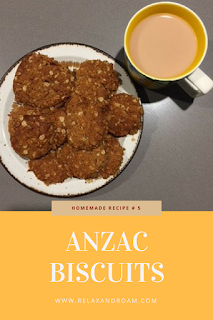 Here is a simple Anzac biscuit recipe. A few weeks ago I came down with a mystery cough, which didn't want to leave!! I was feeling completely miserable and needed some cheering up! Here are 3 things I did to stop feeling sorry for myself!! Sometimes you've just got to have a duvet day, so I spent the day in my jim jams in bed. When I eventually emerged in the early evening I felt a lot brighter for it. My 'go to' hot drinks are tea and chai but when I'm feeling poorly there's nothing like a hot chocolate. I curled up under a blanket, reading the Signature of all things by Elizabeth with my hot chocolate in hand. 3. Watch something funny I don't normally watch a lot of TV but Netflix has been a key part in my recovery!! I watched the entire season of The Good Place. It took a while to get into but it was worth it because it just got funnier and funnier. Do you have any tips for cheering yourself up when you're ill? How well do you know the area you live in? I love researching holidays and things to do, but often forget how much there is closer to home. 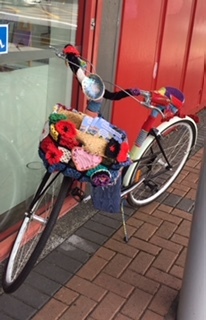 Papakura is a nearby suburb that I sometimes visit to go shopping at Farmers department store or visit Mottletop Cafe. Autumn is festival season in Auckland and the city becomes a cultural sensation. The New Zealand International Comedy Festival runs between 26 April and 20 May 2018. Every Wednesday is 'Big' at the Classic with up to 10 comedians sharing their latest comedy, while the SKYCITY theatre will be hosting international headline comedians. The Auckland Writers Festival has been running for the last 18 years. This year there are 230 of the world’s best writers and thinkers gathering in Auckland from 15 - 20th May. Among my favourites is Karen Joy Fowler whose book We Are All Completely Besides Ourselves was short-listed for the Man Booker Prize in 2014. The theme for this year's Auckland Festival of Photography is Control. Exhibitions at several centres around Auckland will showcase different photographers while everyone is welcome to participate in the Nikon Auckland Photo Day on 9 June. As part of Mindful March I decided to do an Instagram photo a day challenge. Everyday I posted a photo on Instagram about something that made me feel good that day. You can see my photo diary using this link. These were the three that got the most likes! The Commonwealth Games run from 4th April until 15th April. They are being hosted in Australia's Gold Coast and will feature athletes from 71 nations competing in 25 sports. I'm not very good at participating in team sports but I do love to watch them!! The athletes have put so many hours into training for their events and their tenacity and determination is inspiring. My favourite sports to watch are gymnastics and swimming. 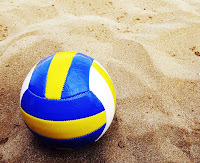 This year beach volleyball makes its debut and I'm sure that'll be a hit with the fans too. The Commonwealth is a collective of 53 nations who share common values and principles. The Commonwealth Games brings together the member nations so that athletes can compete in a spirit of friendship and fair play. The Commonwealth Games have been conducted every four years (apart from WWII) since the first British Empire Games were held in Canada in 1930.